If you've ever remodeled a home, you know there's often one last home decorating project you wish you had the energy and budget do. That's the situation in which we found , interior design and lifestyle blogger and PR guru, when we first met her. 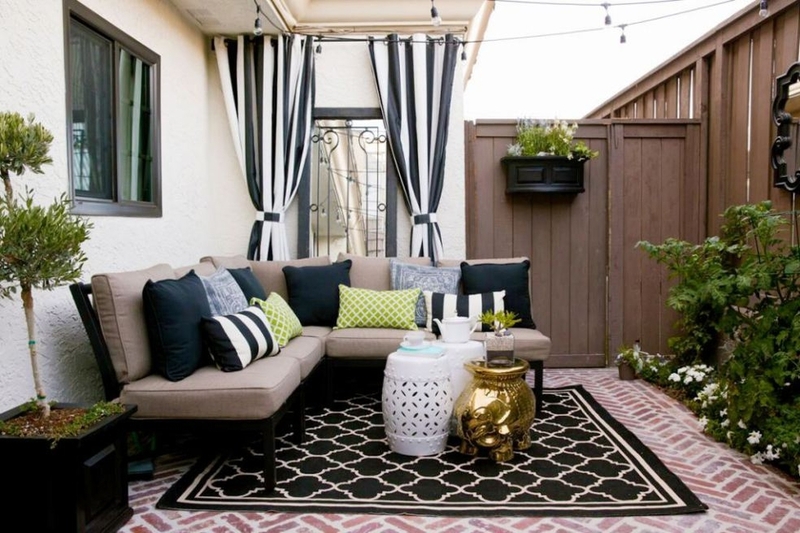 She had just finished renovating her new home, in the Hancock Park neighborhood of Los Angeles, and had one last design project on her wish list: an eyesore of a concrete slab patio. Molly needed more than just outdoor decorating ideas. 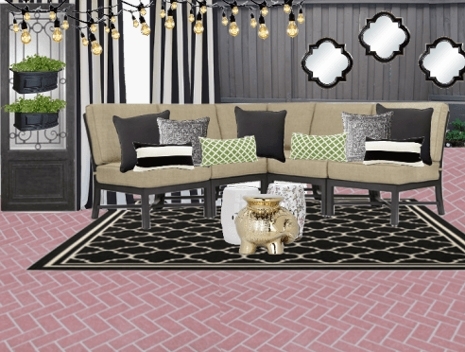 She wanted to enjoy the last moments of summer on the patio of her new home, so needed an affordable design solution fast. And that's when Decorist and literally came to her patio doorstep. "Decorist appeared in the form of my fairy Godmother and offered their services; let’s just say, they made my dreams come true!" 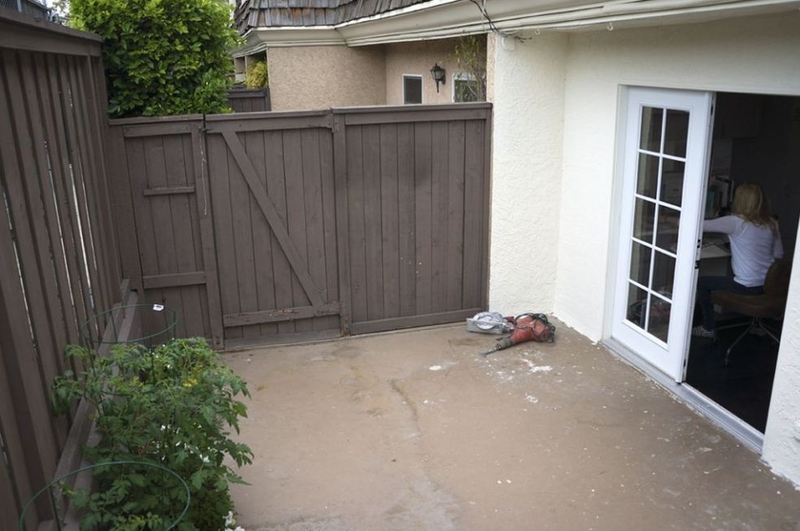 After the previous home owners had moved out, it left Molly with the patio below: a stained concrete slab, with dingy painted stucco walls, and barely surviving plants. Not a very inspiring or inviting outdoor space. 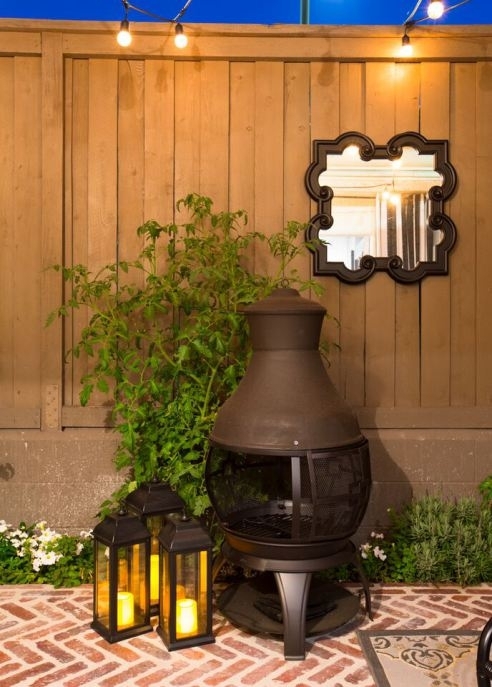 As with all Decorist clients, Molly started the design process by sharing her patio project details online: budget, dimensions, likes and dislikes, inspiration photos, etc..
Molly told us "I’m obsessed with European gardens. But, we see our patio as an extension of our living space, where we can have more room to entertain friends in a relaxed setting that doesn’t feel too formal. I'd like to find a balance between that English garden look I crave and more modern comforts." 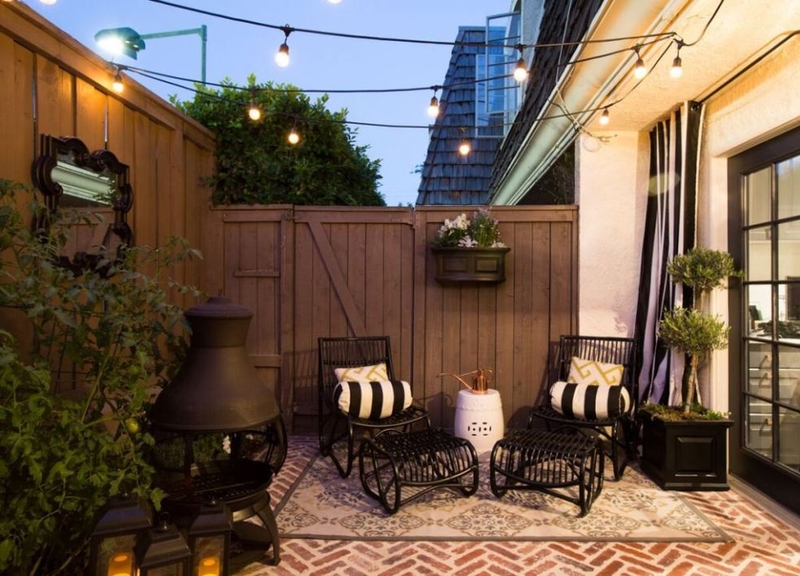 After submitting her patio project info, Molly was paired with a professional Decorist designer, the talented Hilary Ramsay, who shared her personal style. 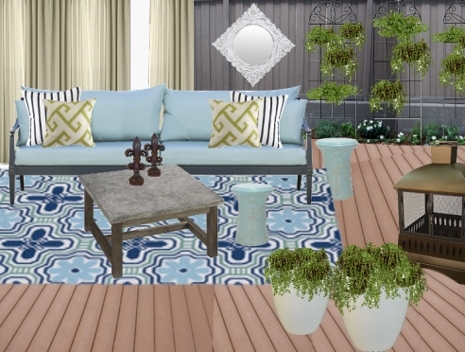 Hilary went to work developing two different design concepts for Molly that met her budget and gave her the "laid back, modern, European garden look" she was wanted. It was a tough decision, but in the end, Molly chose Concept 1. "It perfectly brought together our inspiration of a European garden with a laid back vibe." Once Molly made her final choice, Decorist ordered all the furniture and accessories and took care of all the ordering details. "Every day, with so many boxes piled high by my front door, it felt like Christmas!" So easy, stress-free, and what a time saver! Now for the best part...putting it all together! Molly worked with her contractor to get the brick laid in a herringbone pattern, which Hilary suggested, reminiscent of an old European street. Hilary also recommended hanging drapes behind the couch to help make the space feel warm and inviting. Decorist designer Hilary used three small tables instead of a traditional coffee table—which saves space and provides more flexibility. 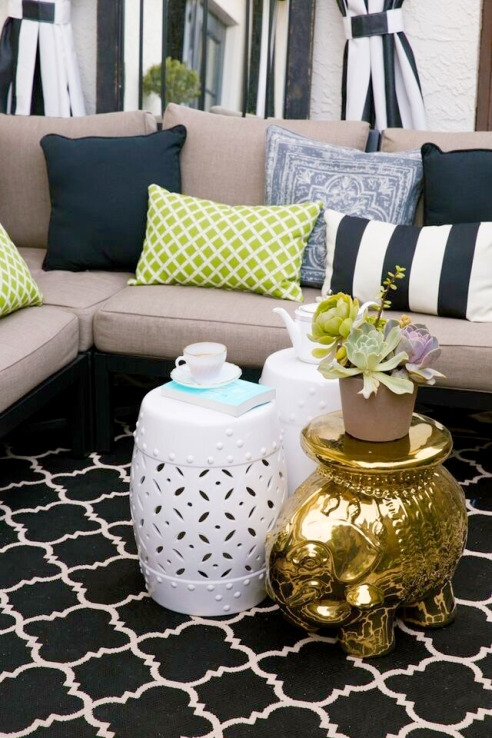 Cozy outdoor pillows give the space a pop of color. As the nights get shorter, the string of lights provides the perfect ambiance for a glass of wine with friends. "Before Decorist came on board, we were going to just paint the concrete and throw some lounge chairs out there. 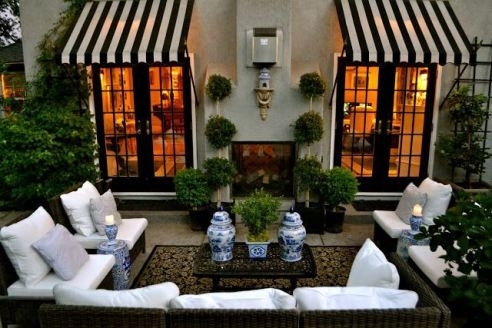 They made it look next-level, and friends comment that it feels like a luxury boutique hotel!" "Our friends can't believe that most of the furniture and accessories came from Lowe's," says Molly. 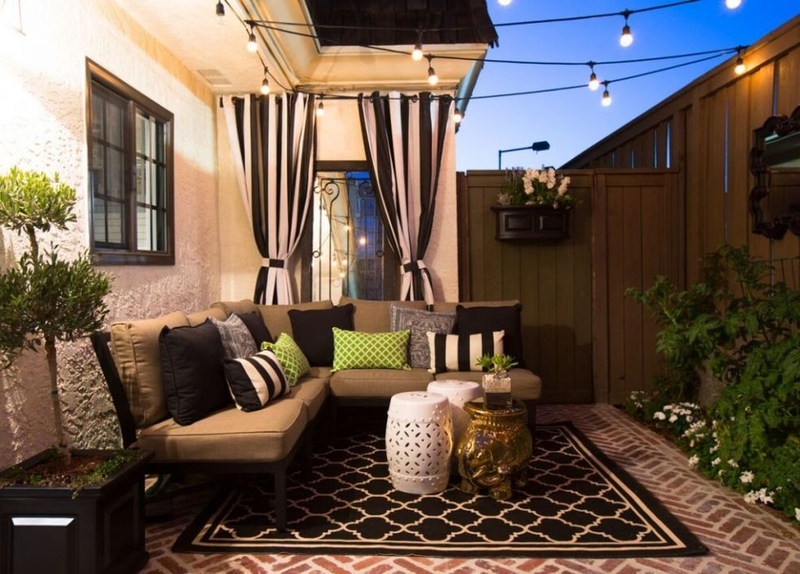 "I think mainly because it's not necessarily the first place that comes to mind when you think of comprehensive décor, but I think our patio proves it should be." 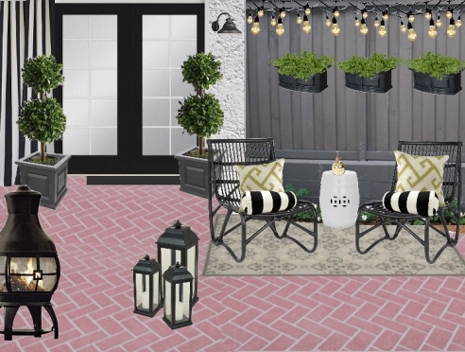 Check out Molly's blog for her take on her Decorist patio design project: (the process and the design concepts) and (the final reveal). Want to see the rest of Molly's home? Check out the Lonny article featuring her top-to-bottom renovation . 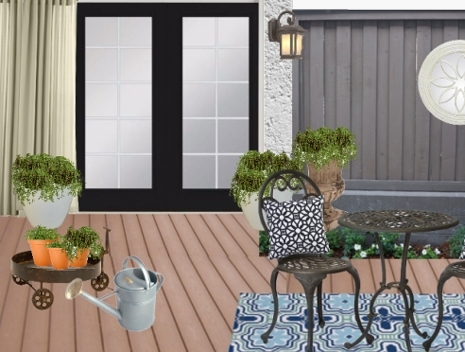 Have a patio or a room that needs a makeover? Let us help! In Molly's words, "it’s a much more affordable option for making your space look professionally decorated." Get personalized, professional and affordable interior design help in your style and budget. . Or, start a project with designer Hilary Ramsay directly.